For this project, we were the only commercial interior designers in Mumbai collaborating with the principal design team of Marangoni. The brand has its roots in Milan and works with some of the most creative minds in the fashion space. However, the palette of the fashion institute office is deliberately understated, with creative detailing to prevent it from being bare or stark. We created a chic international theme, with floor to ceiling monochrome for a strong sense of continuity. Glass sheets were used in place of walls or partitions, so that blocks of space flow into one another. The grey colour theme is set off with pops of red scattered through it. A bold, larger than life art print decorates one wall, connecting the space to the brand. Minimal furniture from brands like Caplini extend the design vocabulary, while fashion branding on the wall adds interest. 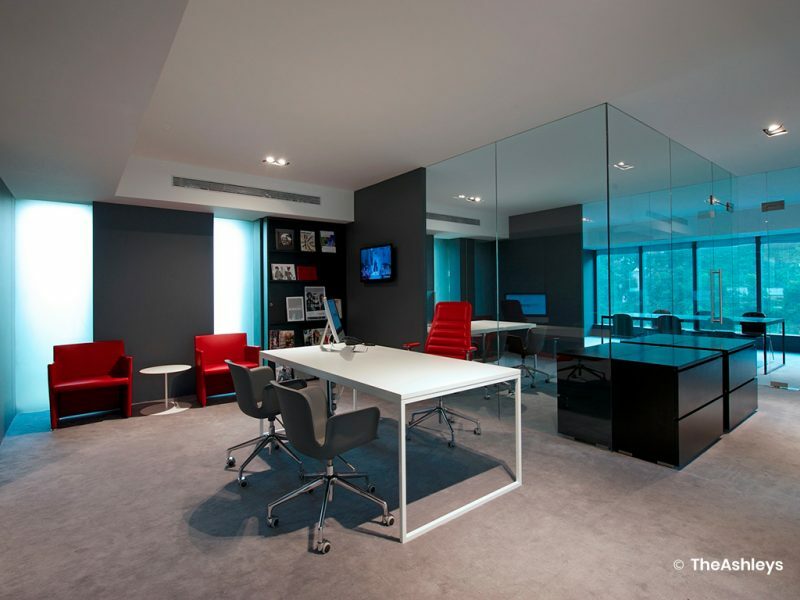 As commercial interior designers in Mumbai, limited space in workstations is a challenge that we are well acquainted with. We used a camouflaged store room for furniture, as well as concealed full height storage spaces to keep the surfaces uncluttered. 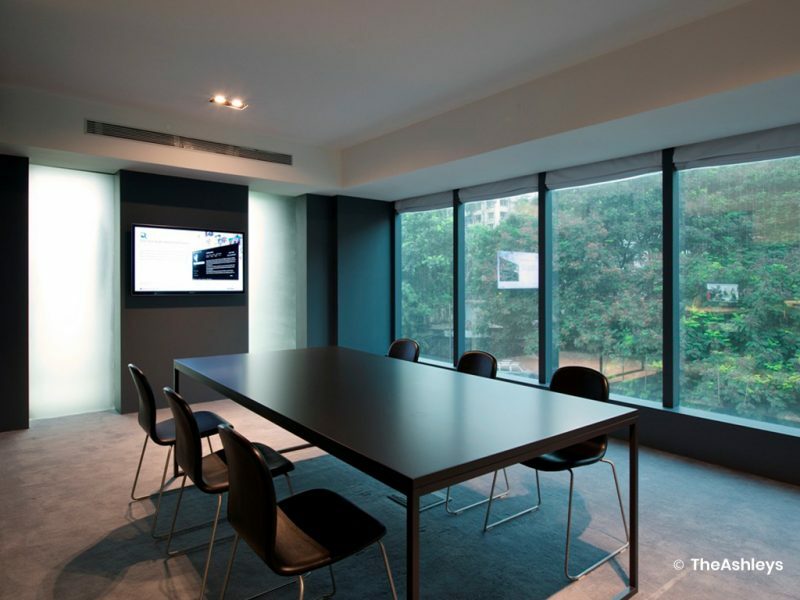 Multi-tasking spaces like the conference room are equipped with smart furniture choices to add flexibility.